Should Law Graduates Pay for Careers Advice? 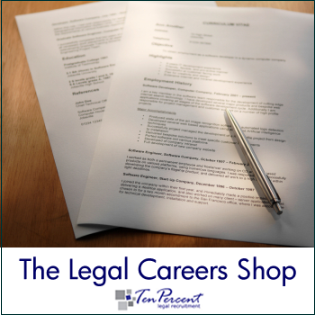 Ten-Percent Legal Recruitment provided legal career coaching services from 2001 to 2014 and worked with a very wide range of clients from paralegals and entrants into the legal profession through to senior barristers, solicitors, partners and people looking at judicial appointments. We dealt with bullying, career progression, getting out of law, finding training contracts, entering the legal profession, getting out of the city, getting into the city and lots more besides. I offered the service personally because I enjoyed helping people and recruitment can be a bit office based and quite dry. When I started out in recruitment I missed the advice element of being a solicitor (I have been non-practising for about 15 years now). We now refer people on to an external consultant (a former barrister/solicitor who very selectively takes clients on) and we take no financial benefit of any kind from the referral. Our company still sells CV Writing Packs, Interview Training Guides and Interview Video Packs, together with a Training Contract Pack, via our website www.legalcareercoaching.co.uk. If you want to see any of these please let me know and I’ll send you over complimentary copies. There are a couple of free guides on the site as well. I think anyone who claimed to guarantee a training contract when paying for advice would have to be insane. How on earth can anyone decide the inner workings of a senior partner’s mind when deciding who to recruit? Certainly something we have never offered and after 17 years in the recruitment business I can say that it is virtually impossible to predict! There is so much anyone can do though to improve their chances of success. So far as paying for training contract advice is concerned it is only like paying for extra tuition to get a good grade at A Level or GCSE etc.. I note from your website that there have been some pretty toxic comments about people who want money for advice on getting a training contract, and I have to ask the question – why not pay? If you want a training contract and someone has good quality advice to give – why not invest some money in your future and get some decent advice to improve your chances? Is it fair? Quite possibly not. But is it fair that some people go to Eton and Harrow and have better life chances than others? We still offer 100s of pages of free advice on our website and also answer legal careers questions at no cost via our monthly newsletter - www.legal-recruitment.co.uk – but I certainly wouldn’t ever have been able to spend 2 hours coaching someone or writing their CV or reviewing a covering letter without being paid. However when we used to offer legal career coaching a lot of people would have very specific circumstances they were looking for assistance with. For example someone with a 3rd class degree wanting to know how to break into law, someone coming from another jurisdiction, or retraining as a solicitor after a career in something completely different. Not things you can often surf the web to get advice on. The Junior Lawyers Division doesn’t have time to sit down with anyone for hours on end drafting CVs, providing specialist advice etc.. so not really going to be able to assist unless they have now started offering this service and have a source of funding in place for it. I used to find that the careers service at most universities was woefully lacking and some terrible advice was being given, although difficult to comment now as we don’t provide career coaching and haven’t for some time. Some years ago I lectured on legal careers as a guest speaker at a university in Yorkshire and the information on how to write an application form or prepare a CV was virtually non-existent from the university and where it was given the advice was often clearly incorrect. So to get an advantage to start a legal career I can see why someone would be prepared to pay and if someone who has been through the experience or has specialist knowledge is able to offer the advice at a cost – why not pay for it? After all the career most law graduates are going to have is all about making money and having a comfortable existence (unless you are a crime solicitor or plan to work for a charity). Not many people enter the legal profession out of philanthropic intent. Relocating to Ireland – What’s the Craic? A number of PR companies have identified Ten Percent Legal Recruitment as being a news provider. With this in mind we get regular press releases from law firms, universities, companies, government departments and lots more besides. Most of this is probably about as interesting as our newsletters, but occasionally it is possible to spot a trend. The recent trend has been ‘relocating to Ireland’ to do legal work and Irish solicitors firms offering UK clients their services for future work in the EU. With reports of some larger solicitors firms recruiting large numbers of staff in Dublin, it looks likely that some movement of business over to Ireland from the UK is going to occur. I very much doubt there is a lot of Irish legal work to compete for but relocating to Ireland and then servicing UK clients seems to be the idea. Whether the whole relocation thing has any longer term effect once the whole EU departure thing is completed is another matter entirely. So relocating to Ireland – how easy is it to open a company, get a postal address and get going in Ireland? 1. The Law Society of Ireland do not require you to apply for prior authorisation. 3. The cost of a practising certificate in Ireland is (gulp) 2,550 Euros. 1. Copy of qualification and degree certificates, copy of good standing certificate from the Law Society. 2. Three character references including 2 from 5 year PQE solicitors. 3. Affidavit to say you have never been bankrupt. 4. Certified copy of passport. It is not clear what will happen after the UK leaves the EU – there are all sorts of visa applications that may or may not be involved. Here’s hoping the politicians manage to keep these out of the equation as they look to be a complete nightmare. Apparently (according to www.lawpracticemanager.co.uk) this “would leave UK solicitors with the right to apply for a Critical Skills Employment Permit, which is open to all professionals who are not on an ineligible profession list and who earn more than 60,000 Euros a year. At present it looks like solicitors are not on the ineligible profession list, but of course that could change if large numbers of UK solicitors bail to Ireland”. 1. You can have an Irish bank account without being resident. 2. You can open a limited company in Ireland once you have an address. 4. You can open the company with the Company Registration Office – takes about 3 days. 5. Registering for corporation tax, social insurance and VAT in Ireland is done via the Revenue Commissioners. 6. Once the UK leaves the EU it is possible that you will have to apply for a specialist visa to open a business in Ireland, unless an agreement is to avoid this is made between the UK and EU. Specialist visas usually have strings attached such as a requirement to invest 400,000 Euros and upwards or be an entrepreneur looking to make 1 million Euros of sales and employ 10 staff within 4 years. Property is both astronomically expensive and extremely cheap depending on where you plan to relocate to. Rural areas away from Dublin are very cheap, housing within commuting distance of Dublin is astronomical. Corporation tax is currently 12.5% and council tax equivalent in Ireland are c.100 Euros per residential household per year (bin emptying not included). I suspect that apart from Dublin being the other side of the Irish Sea the other drawback of living in Ireland is the weather. Watch the forecast for Ireland over a period of 6 months and be amazed at how wet the place is. TP Legal Recruitment are located in North Wales so we know a thing or two about rain, but my goodness Ireland seems to be one great big magnet for rain clouds. Would it be possible to run the head office of a law firm (or indeed any other business) from Ireland and retain your UK operations? Would the continued EU membership of Ireland benefit any UK business if their main geographical area was the UK? Is there any point relocating to Ireland other than to pursue business opportunities there – are there any? 5 years ago at least 20% of the housing stock in Ireland was unoccupied due to the recession. It it hard to say what benefits there would be, other than a low tax rate, although Google and LinkedIn seem to do well by operating in the UK from Ireland..